One aspect of the unfolding Awan scandal that it has received incredibly minimal press coverage especially the role played by current Attorney General of California, Xavier Beccera. With the exception of journalists like HA Goodman and Luke Rosiak, Becerra’s role has gone virtually unexamined by the media. Imran, Abid and Alvi Awan were all hired by the Democratic Party’s Debbie Wasserman-Schultz. According to reports from the U.S. Capitol Police, during an appropriations hearing on Congress’ administrative budget in May 2017, Wasserman Shultz conceded she had violated House of Representatives’ policies for many years. She also sought to find out how much might be known about her Internet usage, and asked if members of Congress were also being monitored? “This is the same woman who pushed for a special prosecutor to investigate an alleged Russian hacking of the DNC’s IT system. Could they have been any more careless?” asked police investigator Nolan Fitzsimmons. The Capitol Police investigated Wasserman Schultz’s longtime information technology (IT) aide Imran Awan for theft and funneling congressional data from members of the House Permanent Select Committee on Intelligence, Committee on Homeland Security and Committee on Foreign Affairs. There is even talk that Wasserman Schultz and her aide were involved in a sexual affair and he may have been blackmailing her into paying him almost four-times what a staffer usually is paid at Congress or the DNC. Unfortunately, most of the major news outlets only care about suspected corruption by GOP politicians, and so the story died. The way the news on the Democrats and suspected Muslim spies quickly vanished has suggested there actually is something more to the disappearance than the operation of the normal media-reporting cycle. A number of conservative websites, including Breitbart,have been sounding the alarm over a possible cover up that just might even be linked to what we are now calling Russiagate. One aspect of the unfolding Awan scandal that has received incredibly minimal press coverage is the role played by current Attorney General of California, Xavier Beccera. With the exception of journalists like HA Goodman and Luke Rosiak, Becerra’s role has gone virtually unexamined by the media. The Daily Caller’s Stephanie Hamill. In September, the Daily Caller revealed that the Capital Police’s decision to ban the Awan’s from Capitol Hill was based on the existence of a “secret server”. 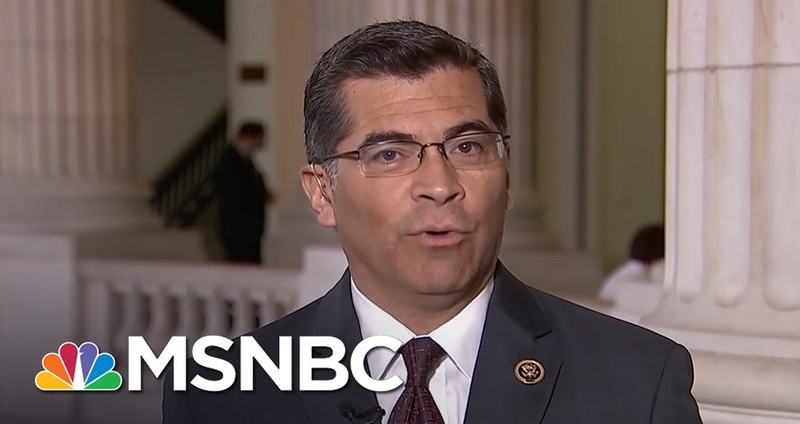 The server was connected to the House Democratic Caucus, which at the time, was chaired by Rep. Xavier Becerra, the current Attorney General of California. According to one senior official, when Becerra vacated his congressional seat on January 24, 2017, “He wanted to wipe his server, and we brought to his attention it was under investigation. The light-off was we asked for an image of the server, and they deliberately turned over a fake server”. 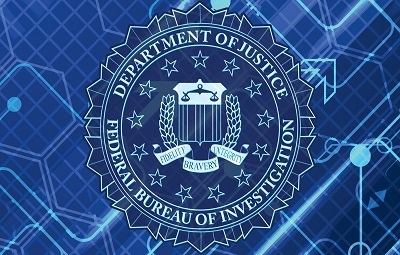 Authorities considered the falsified image of the server they received to be an act of overt interference in an ongoing criminal investigation. The official stated that, “They were using the House Democratic Caucus as their central service warehouse … It was a breach. The data was completely out of [the members’] possession. Does it mean it was sold to the Russians? I don’t know,” the senior official said. According to the Daily Caller, Becerra was one of five house democrats who first hired Imran Awan in 2004, and would later hire Imran’s brother, Abid, as well as Imran’s wife, Hina Alvi. In 2013, upon becoming chairman of the Democratic Caucus, Becerra would begin further paying Alvi an extra $25,000 to $30,000 a year, in addition to payments from Becerra’s personal office. As the Caller points out, this means that the current Attorney General of California is personally responsible for far more payments to the Awan family than any other Democratic member of Congress. Two weeks ago, five House Republicans from the Freedom Caucus held a hearing regarding the ongoing investigation into the Awan family. The former House IT staffers were employed by over 30 Democratic members. Representatives of the House leadership, who have yet to offer any support for a formal investigation into the ongoing scandal, were absent from hearing when Freedom Caucus members Louie Gohmert (TX), Jim Jordan (OH), Steve King (IA), Ron DeSantis (FL), and Scott Perry (PA), interviewed Luke Rosiak of the Daily Caller and Tom Fitton, President of Judicial Watch. Cybersecurity only works if you perform all of the required procedures. Rep. Perry (PA) also chimed in, voicing concerns regarding an increasingly overt two-tier justice system. The concerns expressed at this latest hearing, or the issues surrounding California Attorney General Xavier Beccera, are extremely significant in terms of national security. That the press has shown so little interest in the scandal is alarming. Disobedient Media will continue to report on revelations stemming from the Awan scandal as they unfold.